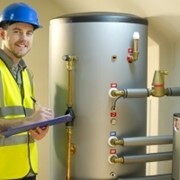 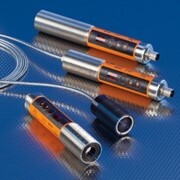 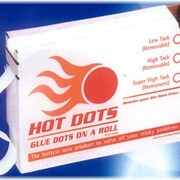 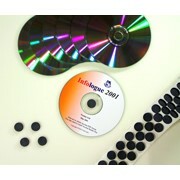 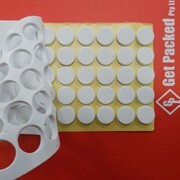 Glue Dots on a Roll - Hot Dots are a multi-purpose fastening system. 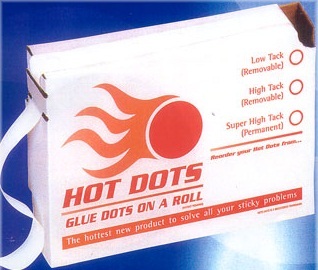 Hot Dots are dots of removable and permanent adhesive with thousands of uses, packaged in handy dispenser boxes for easy application. 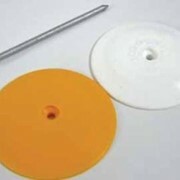 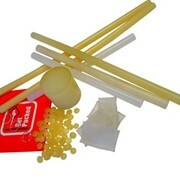 The cost effective alternative to hot melt adhesive and slow drying glues means no more risk from burns, no slow drying liquids and no more expensive dispensing equipment. 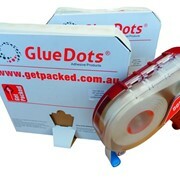 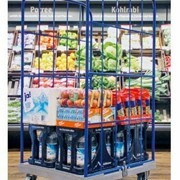 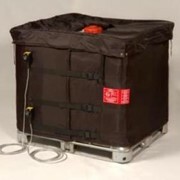 Secure items together through shrink wrapping, skin or blister packing. 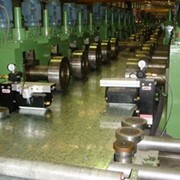 Holds parts in place during assembly operations. 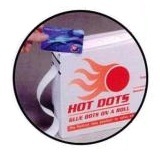 The unique patent pending dispenser box makes using Hot Dot easy. 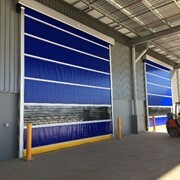 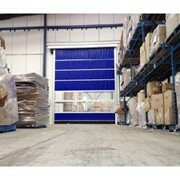 Low Tack - (removable) - Temporary bond easily removed from any surface. 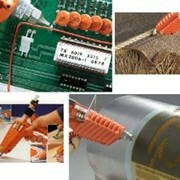 High Tack - (removable) - Considered removable from most surfaces. 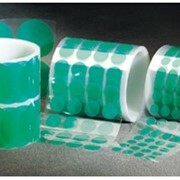 Super High Tack - Permanent bond on most surfaces.